Content, or inbound marketing, is often described as earning your customers' business, whereas outbound marketing is said to be asking for your customers' business. Spider Trainers creates inbound marketing assets in the form of social-network posts, articles, blogs, case studies, reports, white papers, slide decks, multi-media events, and even custom content such as our MROI calculators or the persona profiler. While email marketing, website development, press, and other vehicles provide much-needed visibility for a company, inbound marketing is a very important channel for many that drives visitors to your site and social networks. Each day companies start content-marketing efforts with the best of intentions, but soon fall short and become overwhelmed, or simply don’t have the talent or resources on staff to ever really excel at bringing visitors in. Spider Trainers can ensure you maintain an activity level that not only engages your audience but also provides important information to customers and partners alike. To learn more about Spider Trainers’ email-marketing services, click a related-topic link below, call 928 358 5398, send Spider Trainers an email, or visit the Spider Trainers’ contact page. When you subscribe to Spider Trainers’ list, you will receive periodic notices of new premium inbound content. These are not just great reads, they are great ideas you may wish to use to promote your own company. 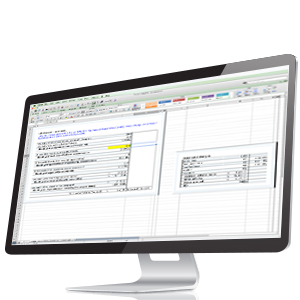 Start your collection with our most-popular download, MROI Calculators.